This unique all in one leash and collar, offers great control when walking, exercising or training. 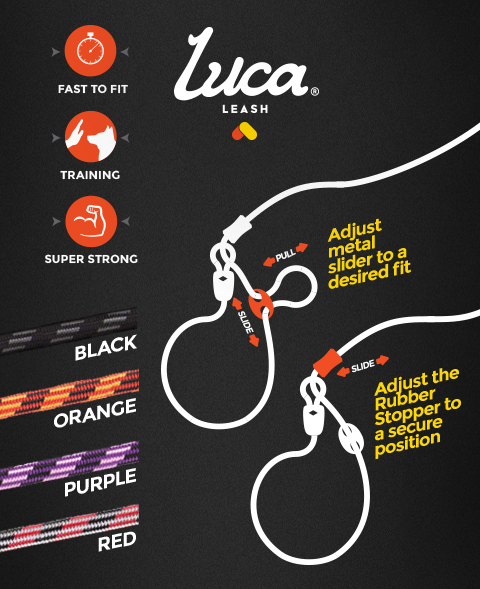 The leash is 170cm in length with a rope thickness of 6mm for the Luca LITE Leash. The quick slip on and go fitting, makes it ideal for both quick walks around the block or longer journeys.